So with the Arab Spring and our twelve or whatever ongoing wars and the death of Osama bin Laden and everything, it seems like an appropriate time for me to revisit some of my favorite souvenirs from the heady days of my early-nineties trading card obsession. 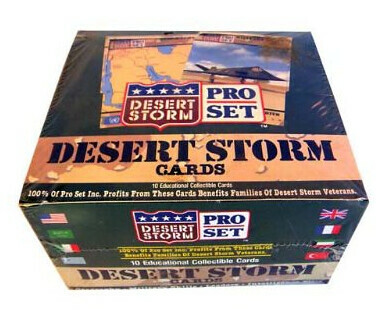 That’s right, the 1991 Pro Set Desert Storm card collecting abomination. This is very Nineties, right? This predates when we started painting toy guns orange, and also predates when we realized it was ridiculous to make a set of trading cards about an event in which a bunch of real life human beings were shooting and bombing each other, apparently. 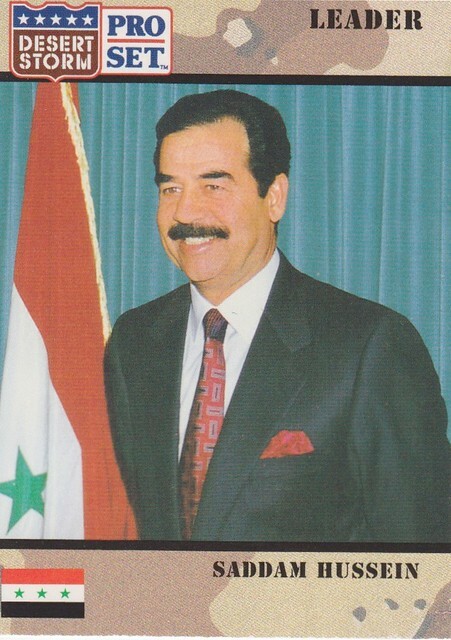 I mean, maybe there was a set of trading cards made about the current wars in Iraq and Afghanistan? I’m not sure. I CAN’T KEEP UP WITH THE EVER-CHANGING, FAST-PACED, HIGH-STAKES WORLD OF TRADING CARDS, OK?? But, if so, they are certainly much more below-the-radar than these cards were. We all had them! 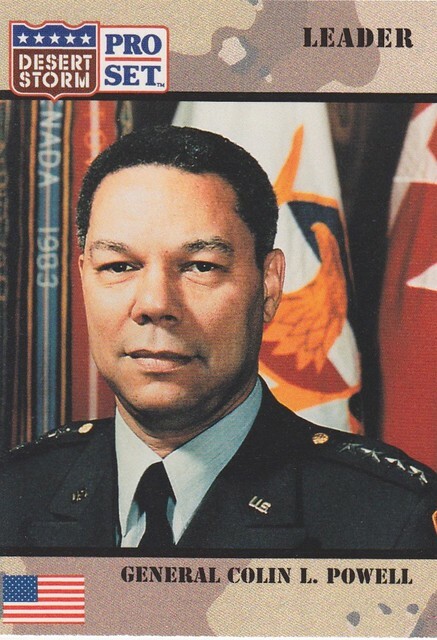 I’ll trade you two Colin Powell’s for your Stormin’ Norman Schwarzkopf, AMIRITE? People who were up in arms about drunk GW kids celebrating bin Laden’s death outside of the White House should remember that we used to encourage young children to collect pieces of cardboard about this stuff.